I have followed your e-zine with its great DIY and tech articles and have used the info to great effect on various vehicles that I have owned. 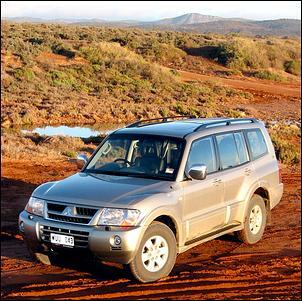 Now, due to circumstances, I am now the owner of a 2.5-litre turbo diesel Mitsubishi Pajero 4x4 (4D56T) with the mechanical injection. 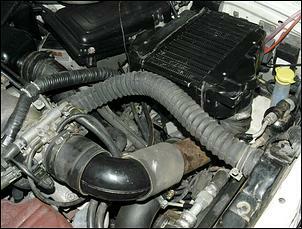 What about looking at turbo diesel motors to modify - both the new electronic and older mechanical injection motors? I have found very little info and several diesel workshops that I have approached either laughed or just looked very puzzled! APS (www.airpowersystems.com.au) would be the first place we'd contact. It doesn't appear they offer anything to specifically suit your TD Pajero, but they do have an intercooler upgrade to suit the 4D56T in another chassis. In any case, they would know what sort of potential gains there are through exhaust modification etc. And, for interest, check out "Prado Power-Up"
I own a N12 Nissan Pulsar and in a review you did of the Nissan Pulsar ET Turbo and EXA ("Nissan Pulsar ET and EXA") I noticed some pictures of a red Nissan ET with a black wing attached to the hatch door. I'm presently doing up my Pulsar and want to get hold of one of these wings. Are you able to lead me in a direction that I might be able to get a hold of one? The wing also seen at "Readers' Cars" is a Japanese import item. If you're in Adelaide, we'd try chasing Pulsar Parts (www.pulsarparts.com.au) for the same! In your recent article "XR6 Through the Roof!" Nizpro wanted $6000 for the MoTeC computer upgrade. I know that Simon from Nizpro said it was more for people who wanted to upgrade further after the computer, but why would you pay that much when you can get a very similar upgrade from APS for $1500? They also have Stage 2 and 3 upgrades (intercoolers, exhaust etc) that cost around the $6000 mark but offer a lot bigger power increase. Nizpro is very much aware than you can achieve similar power gains using an interceptor approach. As mentioned at the end of the article, the company is currently investigating using an interceptor as a more cost-effective 'entry level' power-up.The MoteC M800 option will then, we assume, be reserved for whole-hog build-ups - just look at some of the Nizpro VLTs and 200SXs from the past, for example... Certainly Nizpro will soon be, shall we say, exploring the limits of the factory internals. As it stands, though, there's little question that an interceptor offers more initial bang for buck than a piggyback MoTeC. Wow! I don't think Nissan Australia will be too impressed with your 350Z review ("New Car Test - Nissan 350Z Track")... Congratulations on your honesty however. If the automotive journalism community praises a car that does not deserve praise, I pity the consumer who buys one based on biased, inaccurate information. As an owner of a Nissan sportscar it is very disappointing to see Nissan drop their standard in this day and age. I can only hope that the new GT-R won't succumb to the same mistakes made with the Z Car. AutoSpeed - you have crossed a car off my 'wouldn't it be nice' list. 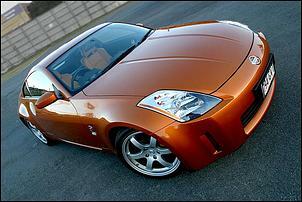 Your, or more correctly, your learned friend's article weighed in with some hefty criticism of the 350Z. Having never driven one, any argument from me would be, well, pointless, so I will not even try. In a lot of your articles you mention that a certain car is 4-wheel-steer (4WS). Can you please tell me what this means? Also, I notice that some of the second-hand imported Japanese cars you test are from Adelaide Japanese Imports. 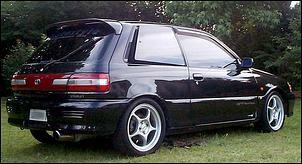 I live in Adelaide and am after an imported Toyota Starlet GT from around 1992. Can you tell me how much one of those would be and what the difference is between these and the Starlet S Turbo (as at "Zip Zap Pow")? Thanks heaps. 4WS (4 wheel steer) is a system whereby the rear wheels are steered in addition to the front wheels. In the Mazda MX-6 system, for example, the rear wheels are steered in the opposite direction to the front wheels at low speeds (to aid parking manoeuvrability) and in the same direction as the fronts at higher speeds (to aid stability during open-road lane changes etc). Some vehicles employ variations on this theme. 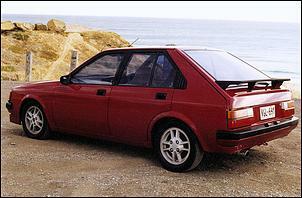 The later model EP92 Starlet turbos - GTs - appear to cost around $10,000 to $13,000 Australia-wide. They use a 16-valve DOHC 1.3-litre intercooled turbo making around 100kW, whereas the older Starlet S uses a SOHC, 12-valve 1.3 intercooled turbo making 77kW. Not surprisingly given similar-ish weight, the EP92 is reputedly more than 1.5-seconds quicker to 100 km/h. They are a slightly larger car overall and, being newer, are more comfortable and offer a better ride and handling characteristics. They also get four wheel disc brakes. We haven't yet tested an EP92 Starlet GT, though, so we can't give a full run-down. 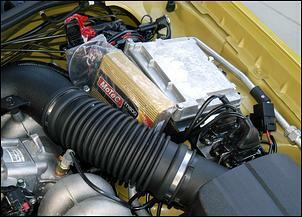 Re: DIY Budget Intercooler Fitment article ("DIY Budget Intercooler Fitment"). I just though you might want know that intercooler you used for the top-mount is from a Ford Laser TX3 turbo KH/KF model. I have been driving to Mt. Tamborine from Brisbane for 12 or 13 years and would have to agree that the Tamborine-Oxenford Rd is a shocker. I use the village road, the 'Goat Track' (for variety) and even Henri Roberts Drive - despite a poor reputation. I do my best, though, to avoid the Oxenford road - too tricky, particularly in the family wagon and with too many tourists who don't know what they have gotten themselves into. For shear fun though, rip down the village road, scream around to Canungra and bolt back up the 'Goat Track'. Ahhh, if only I still had my '90 Prelude - the 4WS was a dream. Oh well, I'll just have to wait until I have finished rebuilding the Mini!